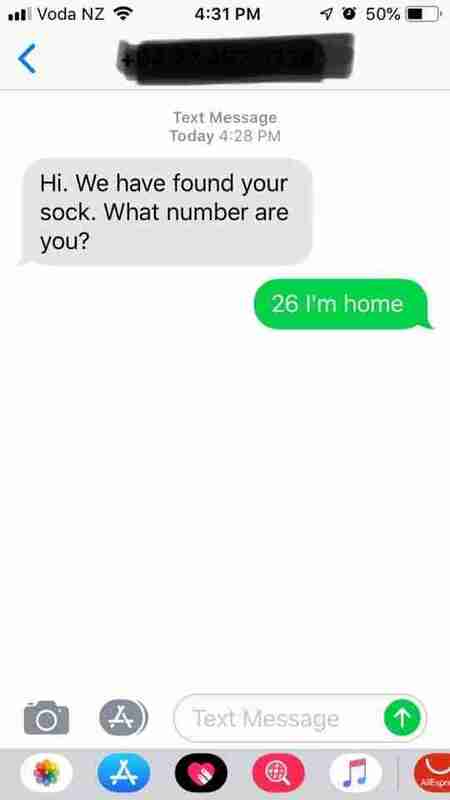 "I left a note on my sock with my number." It’s a universal truth that socks tend to go missing — they get mismatched or they altogether vanish. But Kim Crosland, a graphic designer in New Zealand, knew that the rate at which her own socks were disappearing was extreme. Crosland and her family started to notice it two years ago. "We just thought the socks were getting lost in the washing or getting misplaced," Crosland told The Dodo. Then, one day, speaking to a neighbor, Crosland realized she wasn't alone. "One of my neighbors had mentioned their socks going missing and we laughed about it," she said. "Our sock pile had dwindled as well." Usually, the socks would disappear overnight, sometimes right out of her shoes. 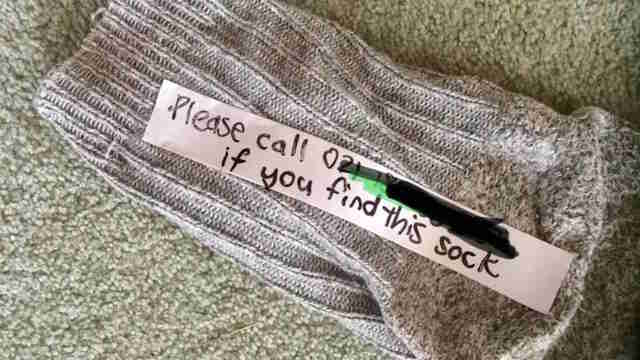 So, earlier this week, Crosland decided to take action: She wrote her phone number on a sock with the message, "Please call if you find this sock," to see what would happen. Not even 24 hours passed before she realized that her plan worked. "We then got a text that day from the owner of Billy," Crosland said. 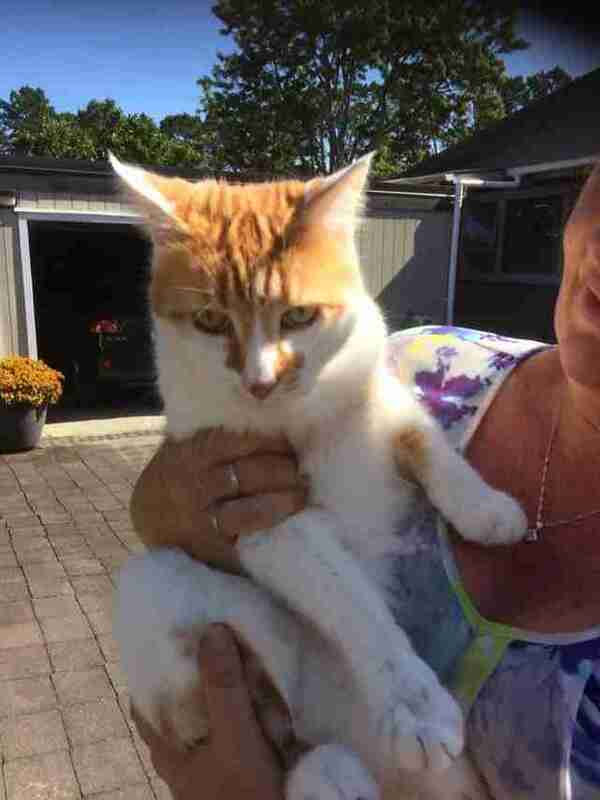 Billy, as it would turn out, is an adorable 12-year-old cat who lives in the neighborhood. Just looking at him, one might never suspect the truth: that he's a total and complete sock thief. Billy's family has had to figure out what to do with all the anonymous socks Billy hauls home. "They didn't know what to do with them all," Crosland said. 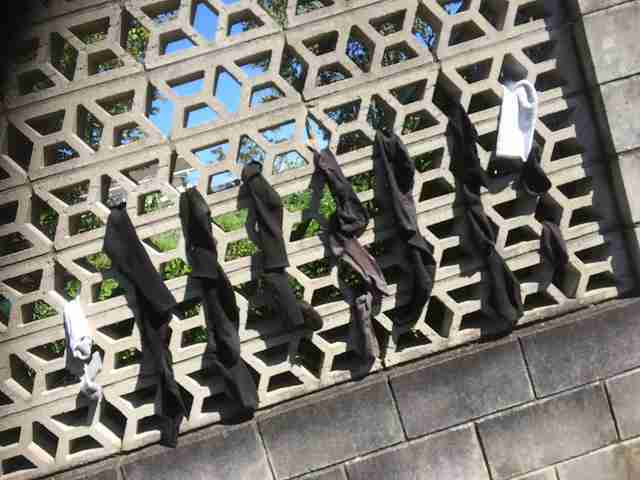 "He just keeps bringing everyone's socks back and leaving them in their driveway for years ... [They have a] fence wall where they started hanging socks up." 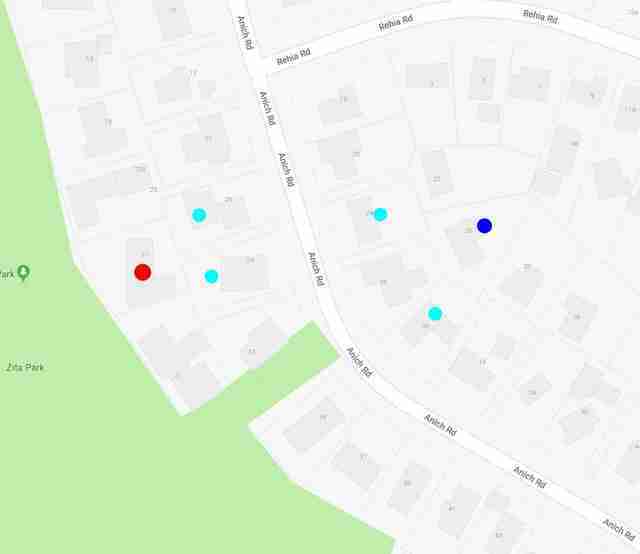 At least four other neighbors have been victims of Billy the sock thief. Kim knew she had to see the thief in action — so she set up a hidden camera one night, turned it on, and went to sleep. Crosland has discovered the way in which Billy breaks into her house. Having two cats of her own, Phantom and Squeak, she has a few cat doors set up in her house. "He goes through one cat door in the conservatory then through another into our house," Crosland explained. "Phantom ... just sat on the couch and watched the ordeal unfold one night then went back to sleep." But Squeak may actually be in cahoots with Billy the sock thief: "They bring back rats, lizards, frogs, crickets and the odd bird — all alive!" Since Billy has been outed as the culprit, Crosland has decided to have a little fun with him. She's set up a series of "traps." 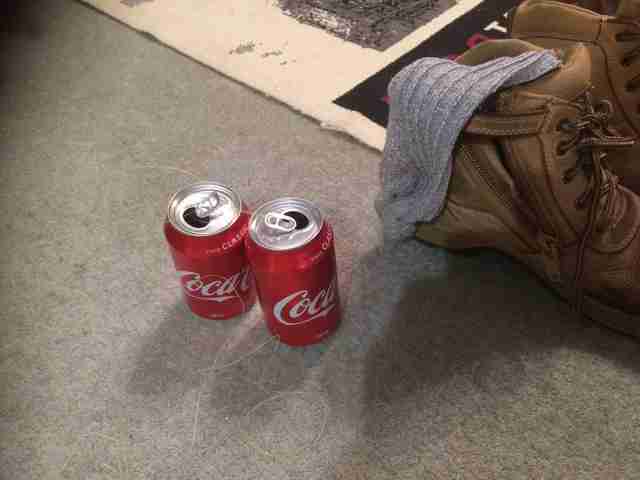 The noisy clamor of the empty soda cans attached to the socks managed to dissuade Billy. 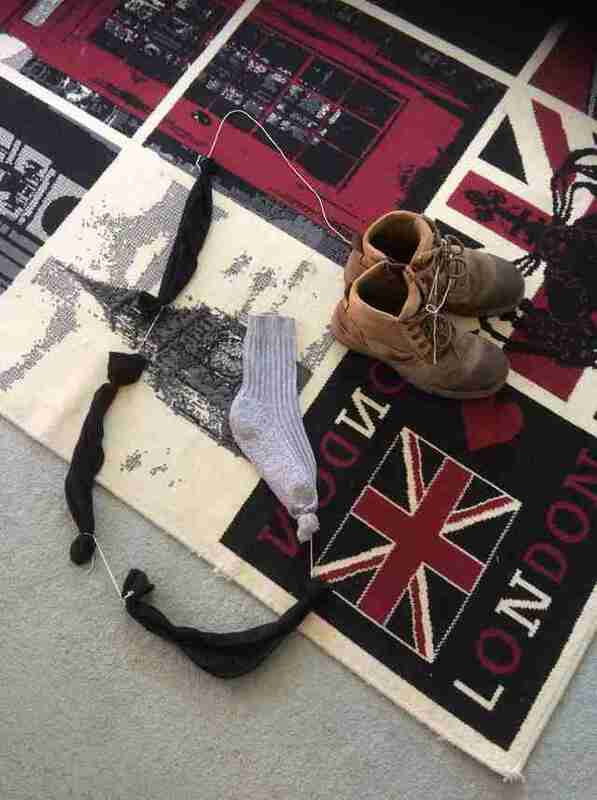 The socks tied together, and anchored to the boots, proved to also be an effective anti-theft device. Billy may have to change his tactics if he's to continue his thieving ways — but the clever cat might just be up for the challenge. "He came back last night, but was onto our traps," Crosland said on Friday. "No socks were taken."